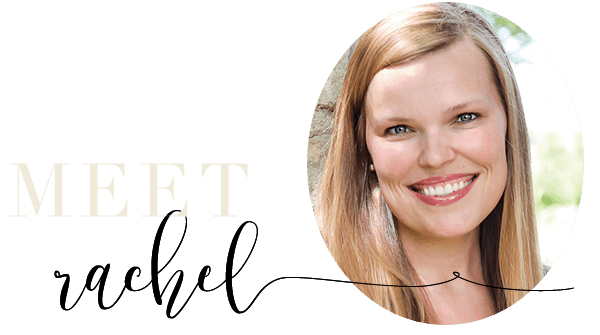 As promised, I’m sharing the chalkboard designs I created for my brother’s rustic chic wedding decor (see the full post with decorating ideas here) with you today…. for free! When I got married 12 (gasp!) years ago, nobody was doing fun, alternative things like this… We had a little white guest book that only 1/2 our guests actually signed. 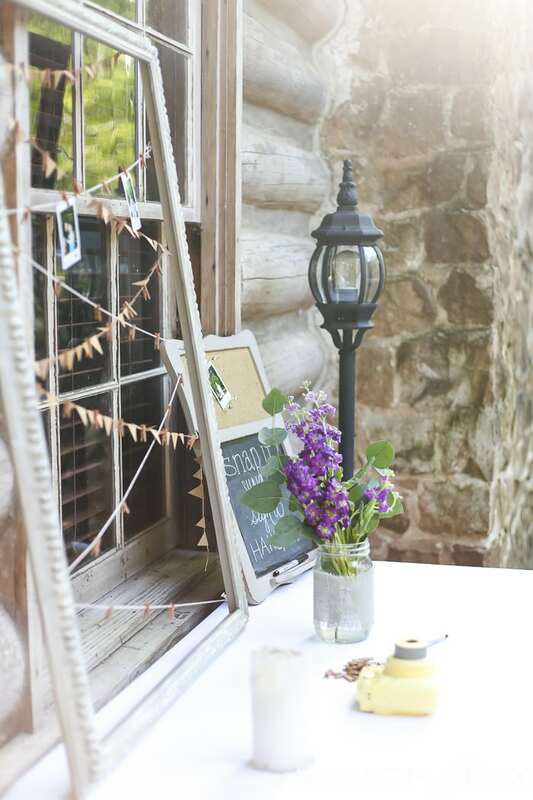 I’m not complaining because I wouldn’t change a thing about my wedding… but I sure do think these creative guest book ideas are a fabulous alternative! First up: a polaroid station in lieu of a guest book. We used this for the rehearsal dinner, but you could certainly do the same for a wedding. 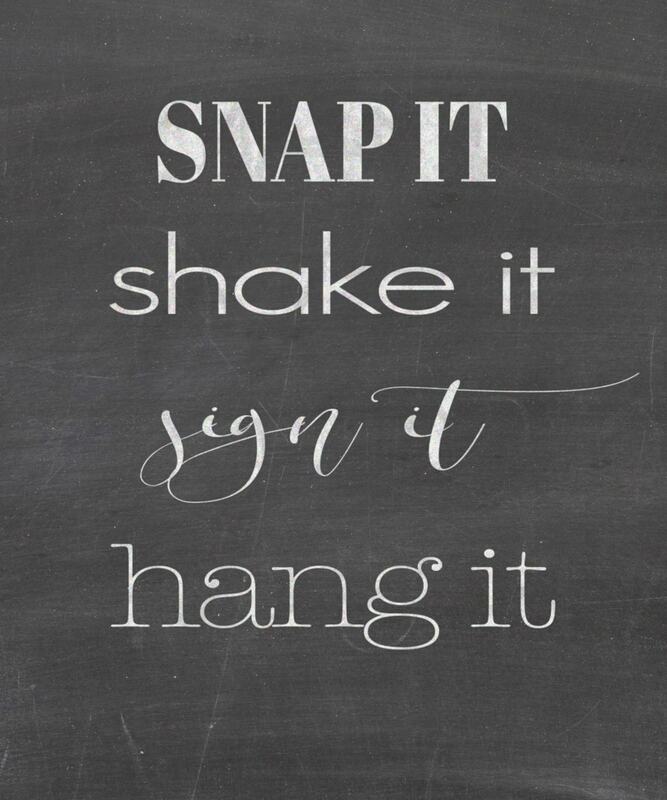 Although I simply wrote on a chalkboard I had, I thought a simple printable might be useful: “snap it, shake it, sign it, hang it.” You can use this as a model for your own chalk art or print it and frame it (see below for access to the printable). 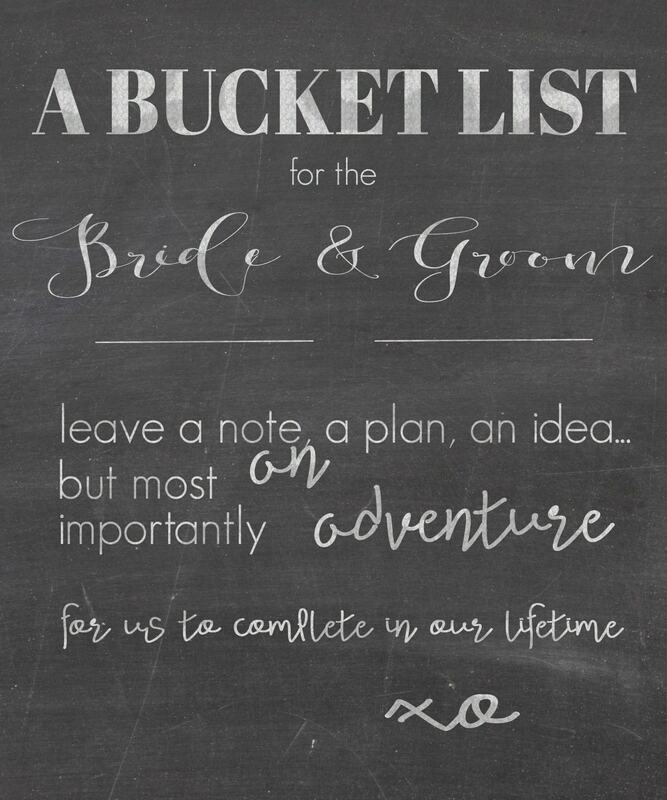 Next up: a “bucket list” in lieu of a guest book. My now sister-in-law found several examples of this that she shared with me before the wedding. 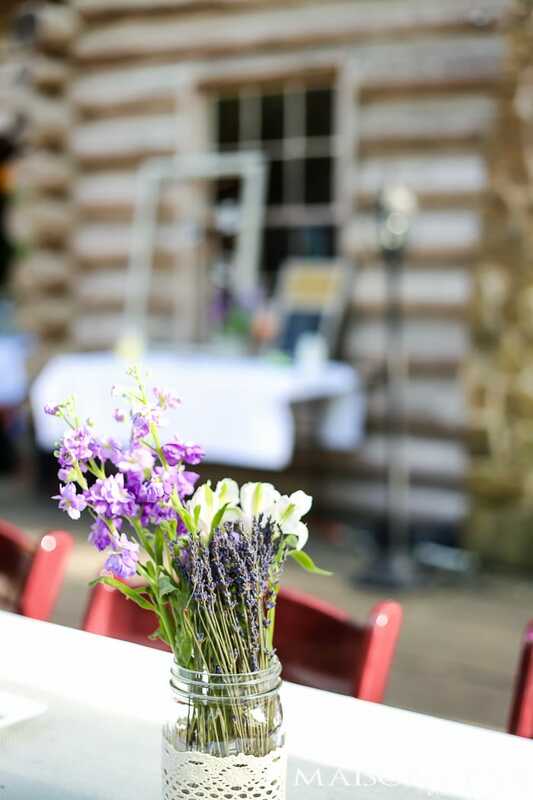 Although I don’t have any pictures of the station I set up (as it was used at the actual wedding where I was too busy running around to play photographer), you can see the bucket I used here. for us to complete in our lifetime. And here is your free printable! Beautiful wedding. Cute ideas. :). 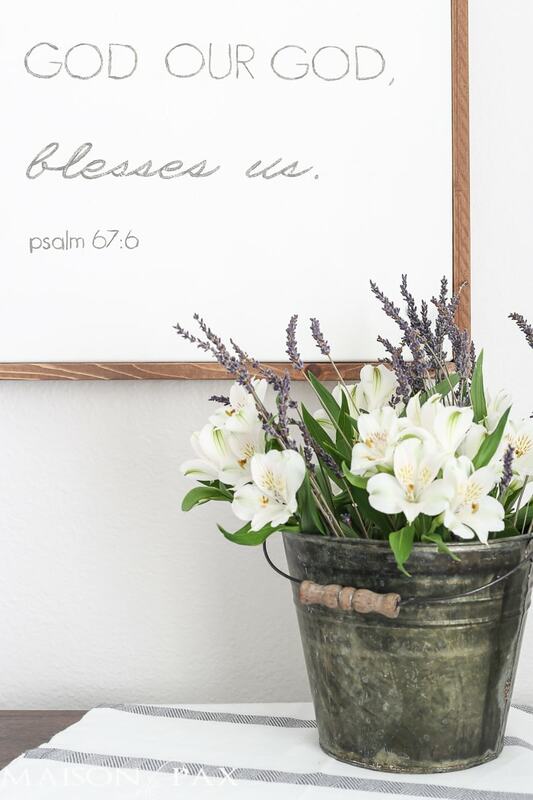 Thanks for sharing the pictures, post, and printables.